And just like that, Batman vs. Superman director Zack Snyder made grown men cry. He had teased a Batmobile reveal, and instead he delivered a first look at Ben Affleck as Batman and his oh, SO SWEET ride. The car was designed by Patrick Tatopoulos, who previously worked on 300: Rise of an Empire with Snyder. The suit was created by costume designer Michael Wilkinson, who shared a preview and talked Henry Cavill with us when we caught up with him in L.A. Here's a closer look at his design. So now we wait for the Superman suit reveal and yes, we're also excited to see the Wonder Woman one. Both should be coming soon as filming gets ready to go in Detroit! P.S. Zack Snyder, this would be nice too. If possible. Anytime soon. It's settled then. I'm definitely a Superman girl. Sorry, this does nothing for me. It's too enhanced with fake muscles for my taste. Maybe seeing it in color will help. It looks to dreary. 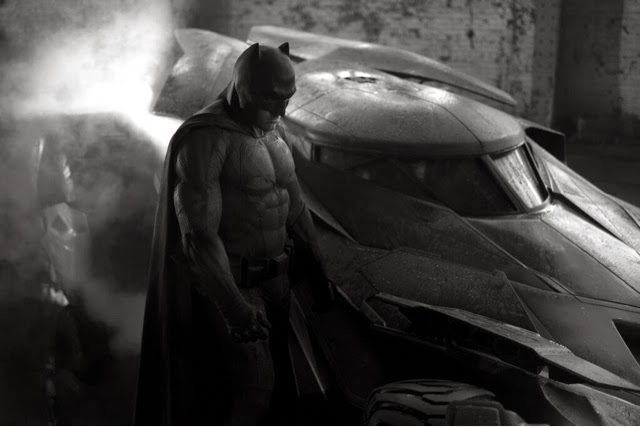 I actually love the dreariness of the photo, it's Batman after all. I agree that the suit looks to enhanced, if they can tone it down a bit it will work. Ben is very handsome and tall, it works for him. 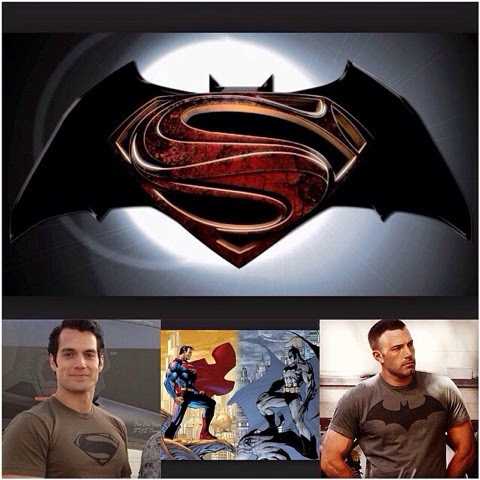 But Superman, aaaahhhhh pure perfection! These actors get all buffed up--just so they can wear suits with padded fake muscles?! This is so stupid. It's so obvious it's all fake. What kind of superhero has to wear padded suits?